We are always looking to add more Grifball courts to Halo 5 matchmaking, and we want to see your creations! Before submitting your map, please check to make sure that it a standard size court. You may deviate from this, but the court must support the default Grifball game mode, and meet the basic Grifball Court Specifications and Template. This thread is a rolling submission thread, which means we will constantly be checking this thread for additional submissions. Take your time and submit when you're ready! How do I submit my map? Please submit your completed courts in this thread using the below formatting. After your map is submitted, it will be reviewed by 343 Industries and GrifballHub's Nokyard. While it is being reviewed, we will be looking for any map issues that will impact gameplay: player containment, incorrect spawn points, misplaced kill barriers, unruly geometry, etc. If any revisions are required to get your map ready for matchmaking, you will be contacted with feedback. To ensure your map is ready for matchmaking, please use this Grifball Court Specification and Template checklist. 1-way Barriers work in Custom Games. We no longer require a script to contain players in Grifball courts. Simply place a Team Labeled One-Way Barrier flush with the wall in front of the Launch Platform. The Team Label should match the spawns (Red Barrier on Red side). The templates have been updated with this new technology. Some additional notes for builders. If your court was not selected and you believe your court is ready to be considered again, please update your original ForgeHub or GrifballHUB map post. Once you have updated the map post, noting the new features and upgrades which have been added since March, submit your court to this submission thread. 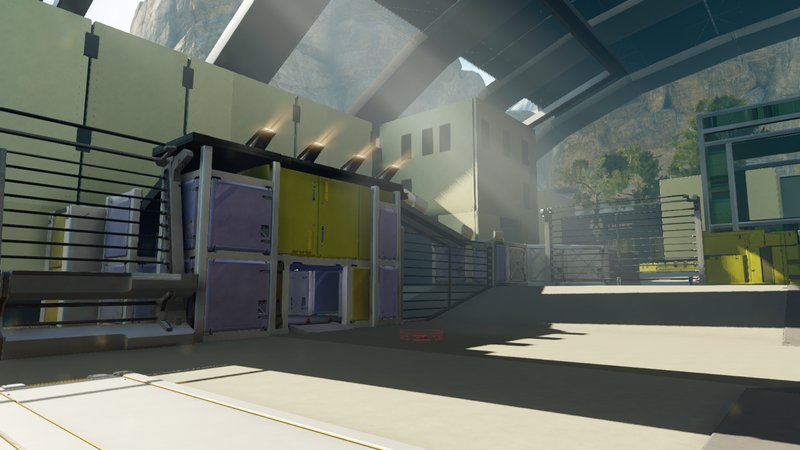 Please submit your court to this submission thread with a link to your ForgeHub or GrifballHUB thread. There have been extensive upgrades to Forge since March so we are allowing you to update your court with a fresh coat of paint. In other words, you will be allowed to give your current court a "texture pass" to bring it in line with current Forge technology. If the new version of the court passes inspection it will replace the existing court without the need to re-submit. Simply send me (NOKYARD) a XBL message before the (as yet to be announced) cut-off date and I will review the new court. Indoor stadium on wooden court. Filled with sounds of cheering fans. * Map Description: a pretty basic court based off the web series "Arby 'n' the Chief". It even features pixel art! Map Description: The Yard is a Grifball map themed after The Pit from Halo 3. The map is a little different from a standard Grifball court in that half of it is on a slight incline. Other than that the size is to specification for standard Halo 5 Grifball maps. Map Description: Settle it on The Court. The Gymnasium is a Basketball themed Grifball Court where players can show off their fancy footwork, ball handling, and how they can run the show. Drive to the hole and JAM to show who's got more game! Map Description: Do you know soccer? Well it gives you an idea. Play Ball! The map also allows you to play Big Team Battle or sniper. Map Description: Grifball Court set to honor the greek god of Sun. It features a clear and surrounding space ambient, with luxurious but minimalistic aesthetics and mesmerizing moving ceiling. Map Description: Clash, Smash and Bash in Space! Only the most talented Spartans get the opportunity to compete in this state of the art Soccer/Football stadium. This map can be played both with Grifball and Thrusterball (Minigame). Map Description: The Flood has overtaken High Charity, and there are none here left alive. The Gravemind has found the Covenant's death arena near the Prophet's Chambers, and lets just say that great (hive) minds think alike. Más adelante igual se añadirá un explorador de archivos al juego directo desde Halo 5, saludos.